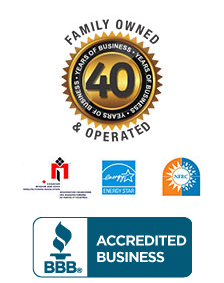 For over 34 years we’ve been installing and upgrading homes all over the GTA and beyond. You can count on our experience to do things right, and on our workmanship to make it look exactly how you envisioned – all at a price that is wallet-friendly. Custom Window Designs is a member of CWDMA, a standard recognized as one of the best in the industry. What this means is that you can have confidence in dealing with a renovator whose excellence is recognized nationwide, backed by a written 5-year workmanship guarantee and an exclusive 25-year manufacturer warranty. You can also rest assured that will be around to honour them. Count on high value in the the service, workmanship and products involved. We also use NO SUB-CONTRACTORS. This means that all of our employees work for us, not some third party we have no control over. This allows us to guarantee the quality and expediency of the job, which means savings in both time and money for you. We offer a over a combined 150 years of experience in the installation and custom fabricating of all our products, and are Gentek Premium Renovator Gold Club members. We use no sub-contractors, all our employees are fully-trained installation specialists that will ensure that the job is completed with the highest quality of workmanship. Please contact us to learn how you can become a member of our team. Peter and his staff did an excellent job of design and installation of windows on our third level and now second level Oak Park Home in Oakville. Absolutely incredible windows and installation. I would recommend Custom Window Designs to anyone thinking about purchasing windows. From picking out the right windows at an affordable price to the installation CW provided first class service. Custom Windows have reduced my homes heating/air conditioning bills by 20%. I have tested the post sale customer service as my pet destroyed one of the screens, and the screen was replaced within two days. Thanks to Danny and team for a job well done! Our thanks to your company for the prompt & professional job that was done on our home. Your installers (Ken &David) were great at explaining each phase of the work & answering all of our questions. It is obvious that they take pride in the work that they do (two thumbs up guys). Our home has been transformed & we are very happy with the look. I wanted to take this opportunity to thank you and your team for doing such a great work with windows at my house. They were professional.They replaced the window in a very clean manner.There is not a single trace of old window or any holes!! Excellent work done.I m going to recommend your windows to people in my contacts. I want to express my warmest thanks for all your help with siding installation. Your team did an amazing job! I’m very happy with the results! Please pass my appreciation to the team and your management- I can have this officially stated. I want to wish you Happy Holidays and all the best for you and for your family in new year! Click here to visit our sister site, Custom Aluminum. ©2019 Custom Window Designs. All rights reserved. Complete the form below or call us to request a FREE in-home estimate today. No time to wait? Call us directly.